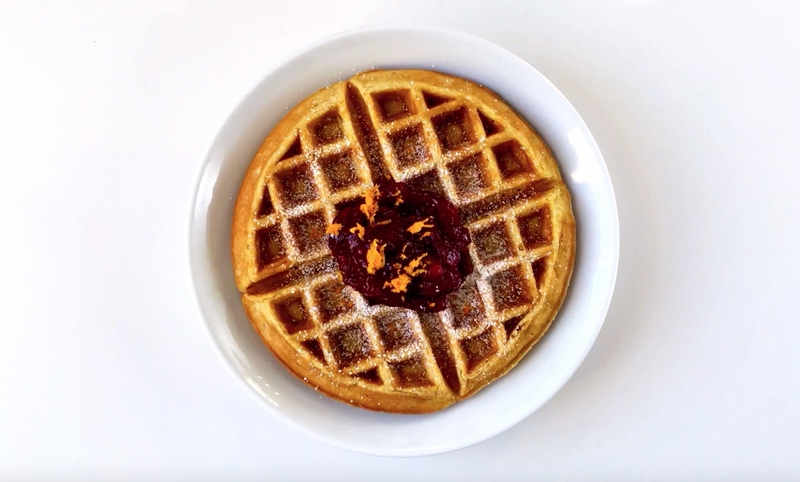 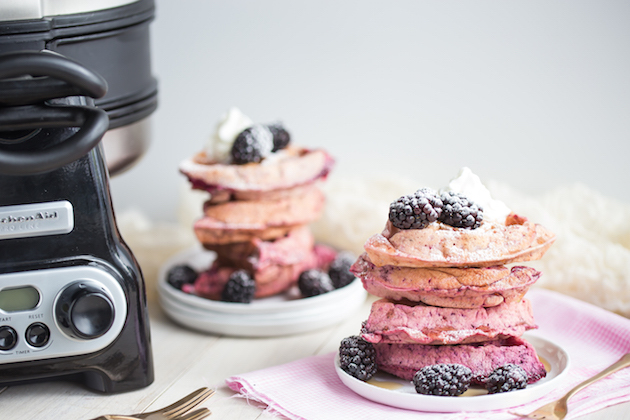 If you’re looking for a great way to dazzle mom with a morning meal that looks as good as it tastes, look no further than these gorgeous Ombre Waffles. 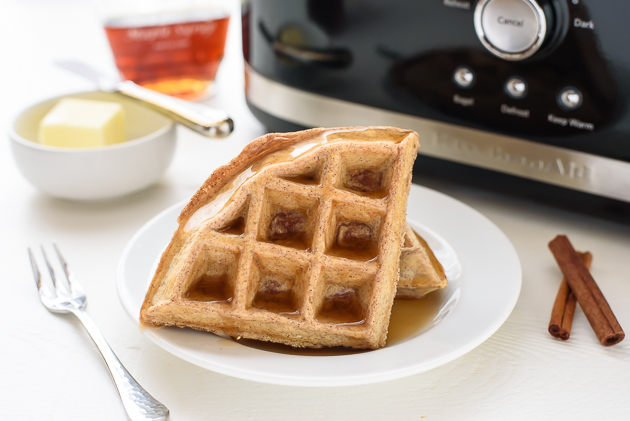 Since whipping up a batch of fresh waffles isn’t something that’s attainable for me on a busy weekday morning (and I suspect the same may be true for you), I’ve developed a method to make and freeze waffles ahead of time so that, when Monday rolls around, all I need to do is pop one into my toaster. 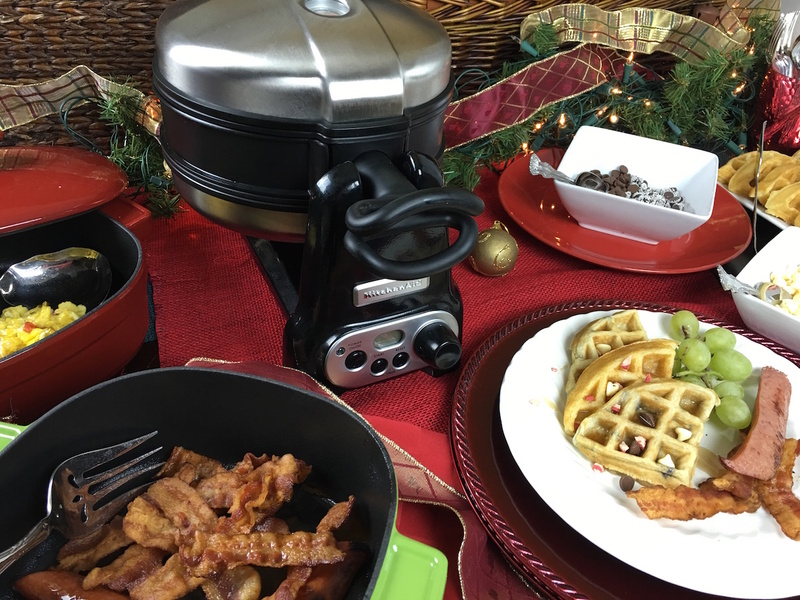 The holidays are officially in full swing and I can’t think of a better way to enjoy winter mornings than with a waffle bar! 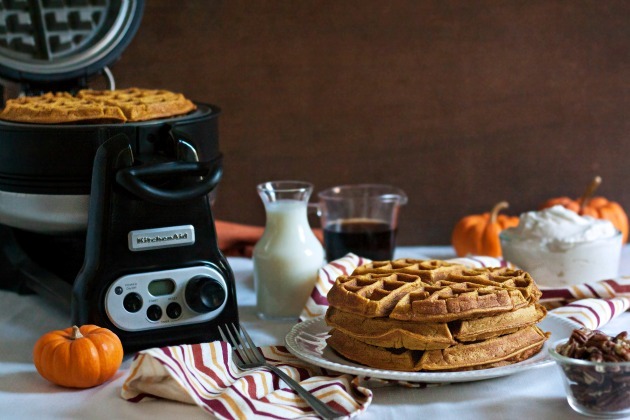 The smell of this recipe is enough to lure you straight into the kitchen and have you salivate at the first sight of these deliciously crispy Pumpkin Spice Waffles with Maple Whipped Cream.